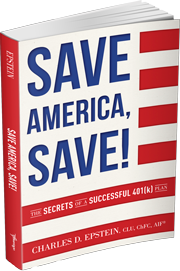 The first thing that I like to talk about with employees is this, in their 401(k) plans, they actually have two contributing partners: Uncle Sam (the government), and you (their employer). Let’s talk about Uncle Sam first. Suppose that Uncle Sam takes 20%, 30%, or 40% of your dollar every month. Here’s a critical question: Will they ever give it back? The answer is no. You’re never going to get that money back once Uncle Sam takes it from you. You might be thinking that’s not a lot of money. But here’s something to think about, suppose that they just took one penny from that dollar. Imagine a chessboard with 30 squares, and each day you move the penny one square over, and each time you move the penny, it doubles in value. So, the first day, it’d be one cent, two cents the next day, four cents the next day, and so on. In other words, you have a choice, you can either put 70 cents of the original dollar in your pocket and pay for all the things you need to do, or you can put it into your retirement plan and let it grow compounded. If you do that, what’ll be the rate of return on your $70? It’s almost a 33.3% rate of return. It’s so critical for your employees to understand that if they aren’t using other people’s money, they’re missing out on an enormous opportunity. 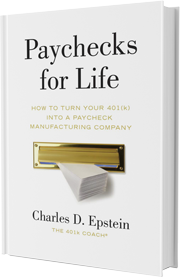 We want to teach your employees, in simple language, how to calculate what they need to save, how to take advantage of other people’s money, and how to create that paycheck for life.